It's Friday - so I thought I would do a round-up of the week. You might have noticed a theme - everything I posted throughout the week centered around the color RED. Check back next week to see which color I have chosen. 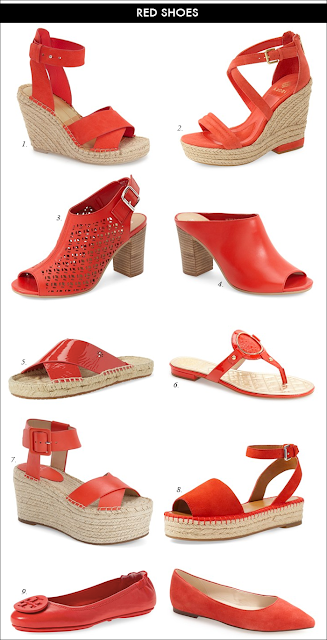 WARNING: this is a longer post - and hopefully you will make it to the end to see my picks for red summer shoes! On Monday, I wore my $40 red split hem sweater that I picked up at Nordstrom. (In case you are wondering - it comes in a few other colors - like blue, navy, black, white, grey, and green.) And, it just happened that I was twinning with my blogging friend, Whitney over at Peaches in a Pod. We both happened to both wear red v-neck sweaters on Monday! On Tuesday, I took my $40 red sweater - and re-created this look with black pants, Hunter boots, and a chambray for a simple layered spring look. On Wednesday, I joined my 14 friends at The Blended Blog to style a bright pants look. My red jeans are the brightest pants I own, and it just happened that I was twinning again with Sarah at Foxy's Domestic Side. 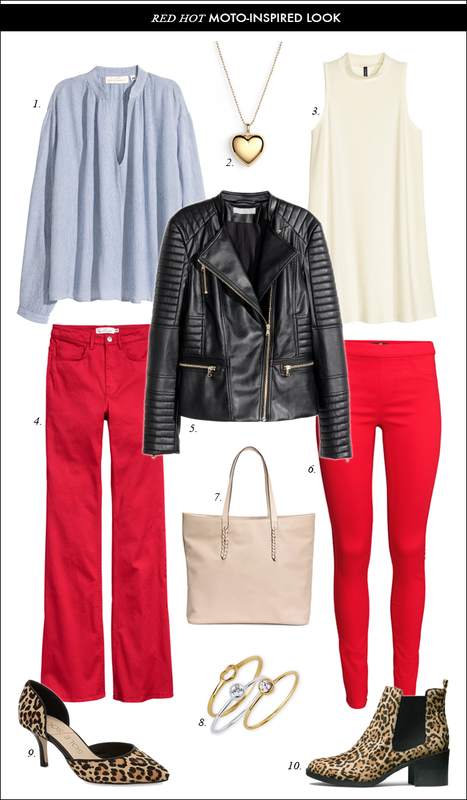 Also, Sarah's look with the white tee and leopard shoes reminded me of this style board I did back in February with this moto jacket, which is on sale for $40! I remember Pink Peonies from when I first started my blog. At that time, we were both on a post hosted by the first blogger I ever followed - What I Wore. I look at where Rach from Pink Peonies has grown to - and I feel a bit envious - she has grown to have over 700K followers on Instagram - and back in 2014 was said to have made almost $1M in affiliate income alone. It kind of reminds me that bloggers are like professional athletes - there is only a 1 and million chance we will actually succeed at it. I try to remember that blogging cannot be about comparison - or it will be defeating. Although, there is a reality check of - is this worth it? - and does anyone care if I post anything? I have this gut check almost every week (actually on most days). I am not ready to give it up just yet - but I really truly wonder if my time could be better spent somewhere else. Lastly, I am looking for some new red shoes as I mentioned yesterday. Here are just a few options - from flip flops to wedge espadrille sandals. Twinning! 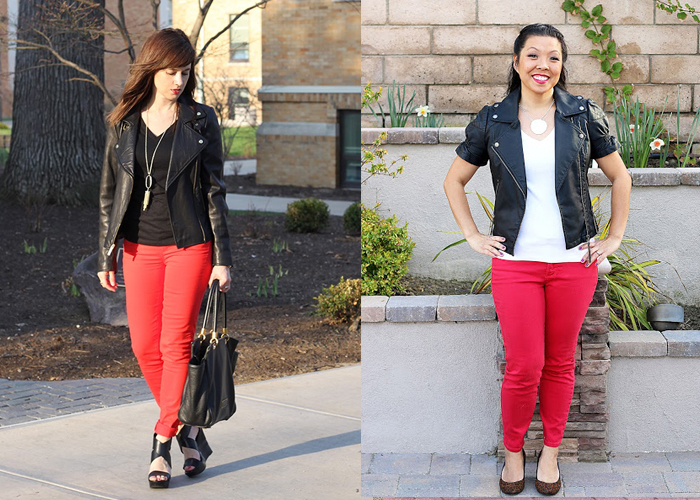 Great minds think alike, especially when wearing statement red! 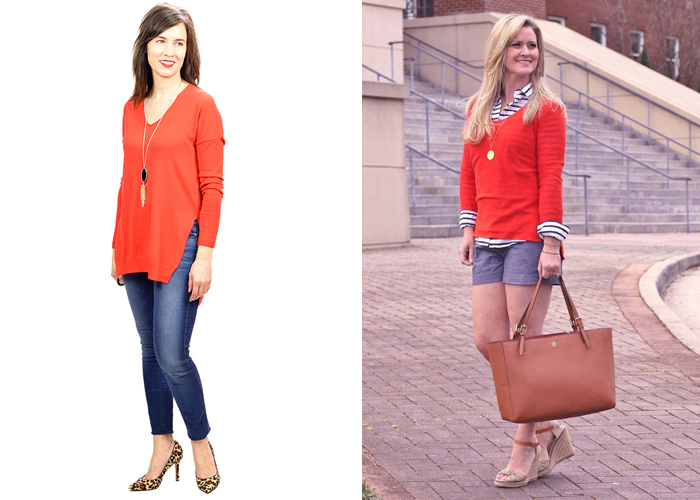 Red is such a fun and vibrant color that looks great on almost everyone! Have a great weekend Lisa! I love that you rounded up red! One of my favorite colors of all time! I hope your weekend is as beautiful as you are! Funny, I got a red bag recently and was thinking "I don't know if this is typically a Spring color." 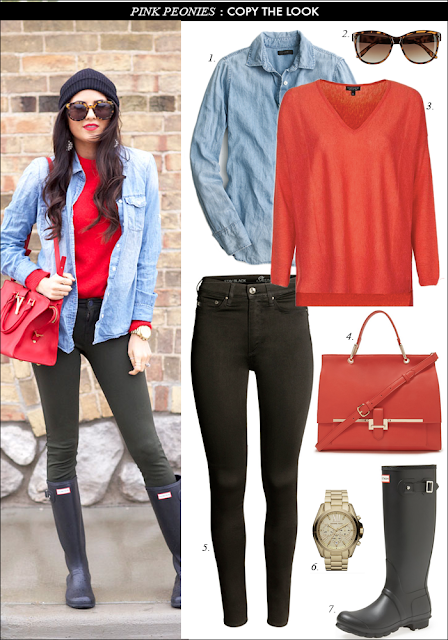 Turns out red is really big this Spring, as you just made clear with this post! As for your thoughts on one person's growth, I would say it's definitely not a good idea to compare yourself to the person who is probably the highest paid blogger in America! But aside from that, like you said I think only YOU can decide if you're getting out of it what you put into it. I am constantly evolving my content and how I spend my time to make this worthwhile and fun for me. It's definitely a balancing act, and I hope you find a balance that works for you! Ha! 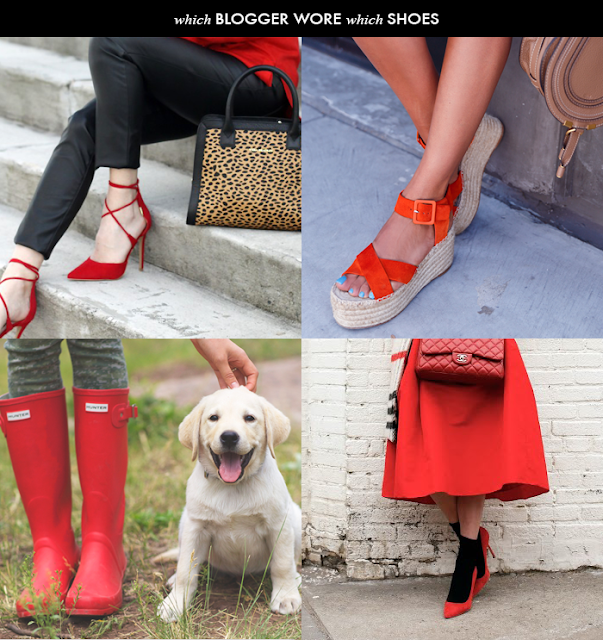 Love the red theme for this week- great posts! Have a wonderful weekend! I love red! Fun color series. I never knew that about you and Rachel being on the same post. It's crazy how life can turn out. Although difficult not to compare, it is dangerous to play the comparison game. i love red as a colors! Yay, thanks for featuring me and I am so happy we were twinning, great minds think alike really! :) Love red, I need more red in my life. I always love a pop of red - my fave jacket of all time is a red peacoat! Have a great weekend!